Archduke Ferdinand would impact twentieth century human society, technology, and history in a multitude of ways. 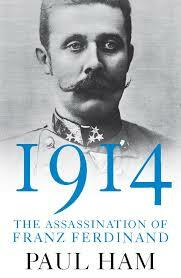 Research papers on Archduke Ferdinand talk mainly about Ferdinand being the reason for World War I. Get a custom written research paper on any aspect of WWI, Archduke Ferdinand or the causes of the war itself. No doubt, the most significant event of the twentieth century was the 1914 assignation of the Austro-Hungarian Archduke Ferdinand in Sarajevo, Bosnia. In a simple but horrific case of the cause and effect principle, the assignation of Archduke Ferdinand would impact twentieth century human society, technology, and history in a multitude of ways. In short, the assassination would to a great extent, form the world we now live in. In 1914, Europe and much of the world were divided up into empires and alliances. When the Austrian heir to Serbia, the Archduke Ferdinand, came to Serbia with his wife on an official visit, a Serbian independence/terrorist group, known as the Black Hand, was waiting. Among them was nineteen-year old Gavrilo Princip, who along with his two partners, was suffering from tuberculosis. While Princip’s partners in the assassination failed, Princip shot and killed not only the Archduke but his pregnant wife as well. As a result, and enraged Austria invaded Serbia, Russia came to defend her ethnic ally Serbia, Germany sided with Austria, and soon more countries, most bound by old treaties of alliance, entered the fray and World War I ensued. Gavrilo Princip was caught and, because he was a few days under the age of twenty, received a twenty-year prison sentence rather than execution. Undoubtedly, Princip never thought that his two pistol shots would ultimately cause two world wars, a cold war, and act as a catalyst for great technological and social change. World War One ended with the 1919 Treaty of Versailles, which brought severe war reparations and national blame to the losers – Germany and Austria. The harsh conditions of the treaty and induced national shame eventually made it possible for German nationalism to occur, and, the Austrian Adolph Hitler to rise and bring about the Second World War and the Holocaust. Ferdinand II - Ferdinand II research papers examine the ruler of the Holy Roman Empire during the Thirty Years War. History of Austria - In 1914, the assassination of the Archduke Franz Ferdinand of Austria led to the outbreak of World War I.
Sierra Leone - Sierra Leone is a tropical country located along the Atlantic in the southwestern part of the West African bulge. Bosnia - Bosnia-Herzegovina became an independent state recognized by the European Community around 1992. Battle of Leipzig - Battle of Leipzig research papers discuss the battle of nations that fought against Napoleon and his allies. Political Effects of WWI - Political Effects of WWI research papers are sample history papers on World War I. The Fischer Thesis - The Fischer Thesis research papers are custom written and show how Fischer blamed Imperial Germany for the causes of World War I. Effects of World War I - Effects of World War I had major positive implications in Europe in so far as it demonstrated the concerted power and authority of recognizably democratic nations over those ruled by dictators. Balkan War - Balkan War research papers look into the wars that arduring the 19th Century in the Balkan Peninsula. Social Effects of WWI - Social Effects of WWI in Postwar Russia as well as other postwar countries were clearly indicative of the social and politically associative repercussions of the pursuit of independence and nationalism caused by World War I.
Gustav Stresemann - Gustav Stresemann took over the Weimar Republic as the head of a broadly based coalition in 1923, and helped stabilize the country. Paper Masters writes custom research papers on Archduke Ferdinand and discuss the most one of the most significant events of the twentieth century.